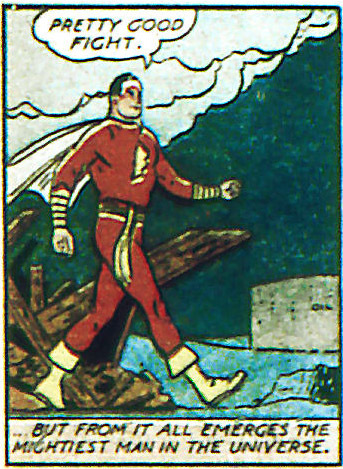 Captain Marvel tells it like he sees it, walking out of a brawl with a devilish arsonist, full of flame and fury. Notes to my arsonist friends: Don't fight the Big Red Cheese on top of a petrol reservoir during one of your runaway fires. Captain Marvel never gets nearly enough love.